To most Tamsui-lang, the Port of Tamsui 淡水港 refers to the stretch of shoreline in front of MaZu Temple on Chung Cheng Road. Where, junks from China came and went, local fishing fleets and numerous sampans congregated before the construction of the first fisherman's wharf in the 1950s. After that, motorized deep-sea fishing ships were directed to dock in this wharf to shield them from storms. The second fisherman's wharf with its famed Lovers' Bridge came in later, in ca 2003. In its heyday, Tamsui Port actually had several active wharfs. 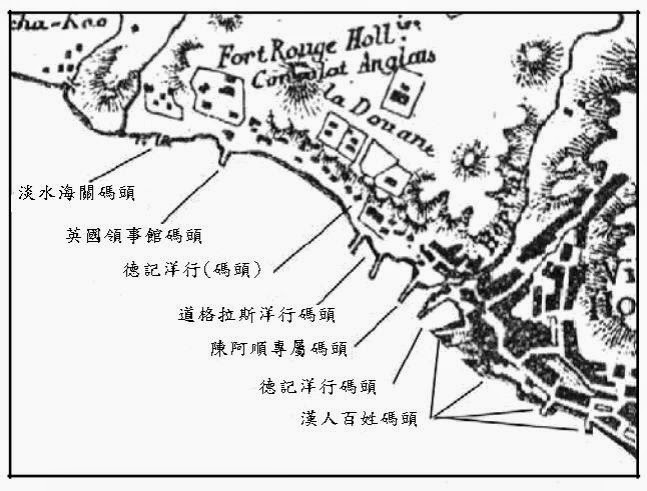 The map of wharfs of 1885 (above) shows from top left, those belonging to (1) Customs Office, (2) British Consulate, (3) John Dodd & Co, (4) Douglas, Lapraik & Co, (5) Tan Ah-Sun, (6) John Dodd, and (7) the Han civilians. The Customs Office area was opened for business during the Qing era and continued into the Japanese colonial rule to accommodate steam ships arriving from overseas (and also island-wide inter-port sea transports). 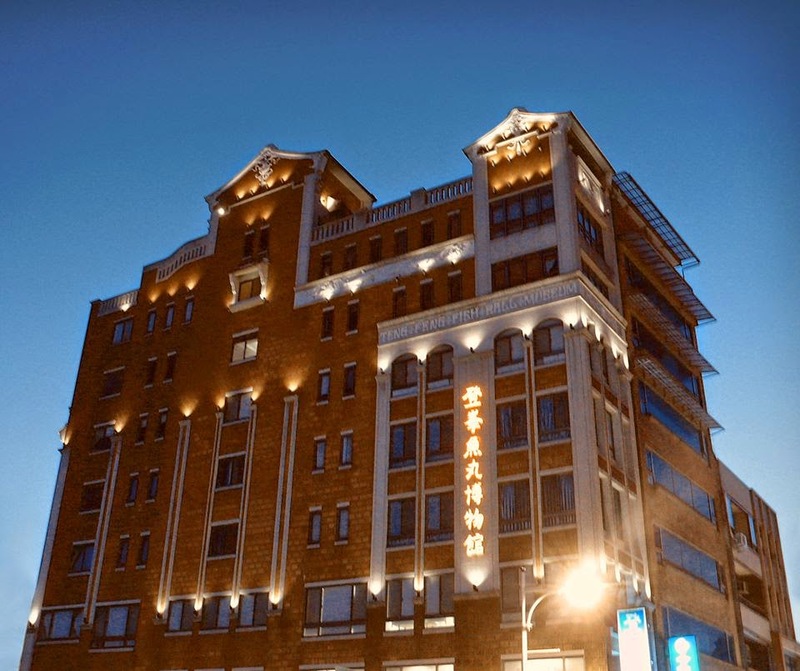 It has been off-limits to Tamsui locals/civilians since 1945, occupied by various governmental units that included the navy, coast guard and marines, Keelung Customs Office, even a pocket-sized submarine building group. After 4 years of renovation, this area is now open to the tourists.